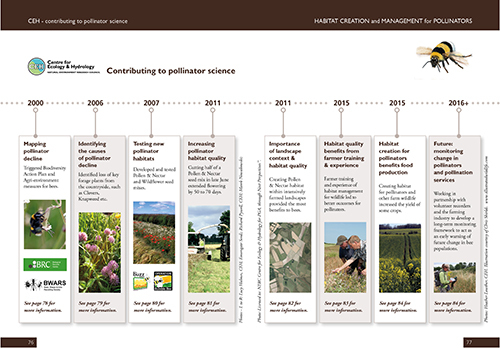 ‘Habitat Creation and Management for Pollinators’ is a new, free, practical guide for conserving insect pollinators, published this month. The guide is the distillation of a 20-year research partnership between Marek Nowakowski - a practitioner with a passion for wildlife conservation on farmland - and applied ecologists working for the Centre for Ecology & Hydrology (CEH), led by Professor Richard Pywell. 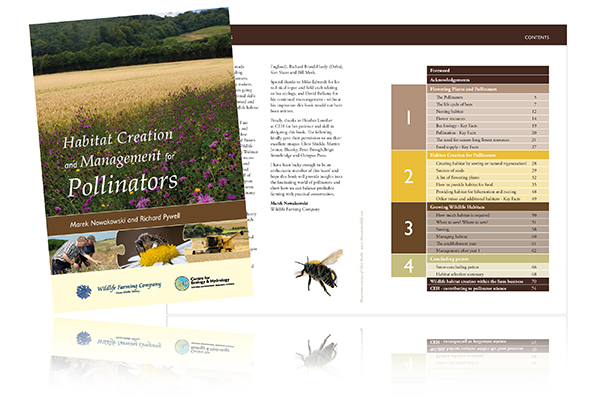 It provides farmers and other land managers with the best available advice on creating and managing habitats for bees on farmland. The content of the book is based on two decades of research carried out at CEH. The book is free to download. Click below to obtain a copy (File size 7MB, 86 pages). Professor Richard Pywell - Centre for Ecology & Hydrology - Richard leads research into sustainable land management at the Centre for Ecology & Hydrology (CEH) (www.ceh.ac.uk). He has more than 20 years of research experience in the restoration and management of habitats for wildlife conservation, with a particular focus on farmland. He has worked closely with Marek Nowakowski on many projects commissioned by Government departments to provide practical and scientific evidence for agri-environmental policies. In doing this he has also established strong collaborative links with university departments and the farming industry. Marek Nowakowski - Wildlife Farming Company - From childhood Marek has had a passion for both wildlife and farming. Since 1970 he has worked in agriculture as a research scientist and agronomist. In 1998 he helped set up the Wildlife Farming Company dedicated to improving farmland habitats through research, practical experience and training. During his career he has worked with Government, research, policy and commercial organisations. He has demonstrated that wildlife can co-exist with modern, profitable agriculture and has communicated this widely on both television and radio.